Classes starting 24th Jan » What's Under the Needle? Foundation Piecing, machine quilting, winter wonderland, felting and getting a start on quilt art are all the classes beginning this week. Something for everyone to enjoy. Stability, precision, speed, and versatility. What more could you ask of a technique? No wonder it has become a basic tool for us. Jane shows you how to piece on top, under pressed and with single templates. You will learn how to use the foundation as a stitching guide without actually sewing into it. This is a process class. You will get 21 different block patterns but there is no project. Skill level: beginner to advanced. It helps to have a basic familiarity with piecing and with your sewing machine. Rotary cutting is also an efficient way to work, but foundation piecing can be done with basic tools and can be sewn by hand, if you wish. Learn how to make falling snow and just about anything that is covered with snow, including pine trees, rocks, bare trees, snowmen and snow angels. In the first three lessons, you will create a 17" x 22" scene based on a photo taken at Yosemite, then choose from three small bonus projects in Lesson Four. Linda will walk you through the project step by step, teaching you how to make paint and glitter give the appearance of snow. By the time you have finished the class, you will be ready to create your own original snow scene. Perfect for making personalized cards, ornaments or book covers, too! Level: You should be a confident user of your sewing machine and willing to try unusual non-sewing material and methods. The felting process doesn't have to give you a thick pad of uniform denseness. The results can be light and supple. Felting offers quilters a way to embellish fabric with a wide variety of textures and patterns. 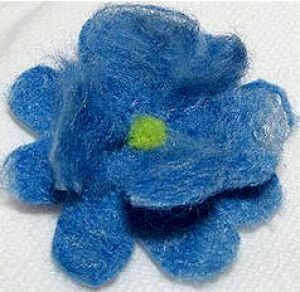 By felting different materials together, you can change the color. Lily will show you how to combine fibers, yarns and fabric using several different hand and machine techniques. You will make a collection of samples and three small projects. Little actual sewing is required. All levels. Are you one of the many quilters who do not know how to finish off their quilt tops? 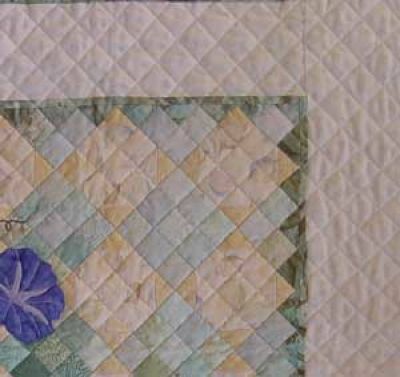 This online class will provide you with the answers on how to beautifully finish them off with machine quilting. Learn about suitable batting and thread to use as well as the importance of layering. 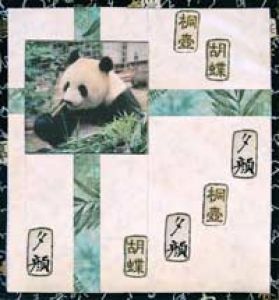 You will practice the various styles of quilting. The video footage gives you a bird's eye view as if you are looking over the teacher's shoulder but with the advantage of replaying it as often as you wish. 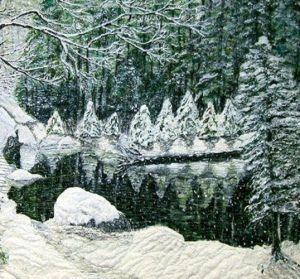 Learn everyone's favorites, Stitch-in-the-ditch and Stipple quilting, as well as less commonly known styles such as echo and contour quilting. Ruth has 30 years of experience in quilting and has many tips and tricks to share with you. She will even give you suggestions on how to quilt your already pieced quilt tops. Join her and experience the joy of quilting your own quilt tops. 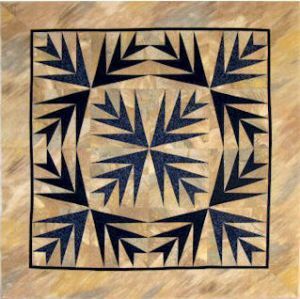 This class will give you starting points for several different areas in Quilt Art. From finding inspiration and color coordinating, to straight piecing landscapes, applique and progressing to more advanced work of shading, shadows and threadwork. Develop a background, add your own ideas and get inspiration from others in the class. During the whole workshop you will make several small quilts that you can display as framed artwork or kept as a collection for reference. All your work will be unique and different from other students in the class, yet their work will give you added inspiration and creative ideas. Be sure to check our calendar for more classes, updated weekly. Creativity is already within you, let us help you express it. No information, content or photos may be copied or used in any way without written permission from Arbee Designs.